Still searching for a Father's Day gift? Give him today's Save at Wine.com! Pay just $35 for $70 worth of your favorite wines from around the globe. New members get this for $32 with the $3 new member credit. They also have accessories for wine aficionados in their gift center. Print a voucher as a gift, tuck it in a card, and let him pick out his favorite varietals! 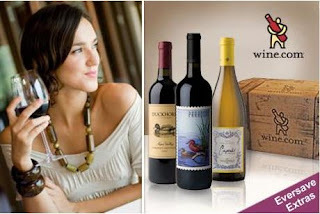 If you spend $100 when you redeem your voucher or sign up for Wine.com's Steward-Ship program, you'll earn $10 in Save Rewards as part of our Eversave Extras program.